In the signs and exhibition graphics market, a vinyl cutter is a must. The Summa roll-to-roll cutters are considered to be industry leaders in this market and here at Papergraphics we fully support that view. From a customer and a technician’s point of view, easy-build set up and configuration is critically important in order to have the machine up and running as quickly as possible so that production time can be maximised. 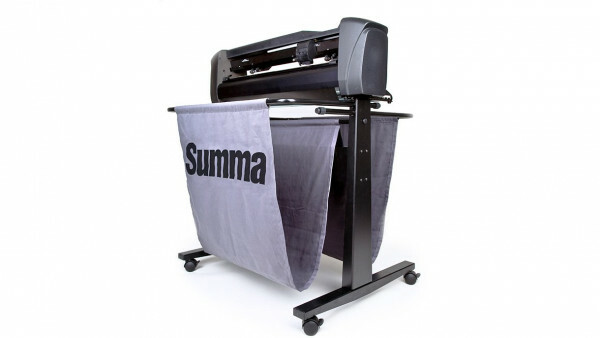 Onyx Thrive software offers full support for Summa cutters and as a result, they are often supplied alongside HP Latex or Epson SureColor printers and Onyx Thrive. Many people take the view that a cutter is a simple device that ‘just cuts vinyl’, yet there is so much more to it than that. Here at Papergraphics, and as champions of the Summa Cutter we also offer training programmes that have been fine-tuned to cover print and cut techniques, and we firmly believe that the training offered by Papergraphics' experts is second-to-none. Looking towards the future, and appreciating the technical precision of this exceptional piece of equipment, Papergraphics has invested in optimising our vinyl range to make it 100% compatible with Summa cutters. Outstanding media and precision equipment are the perfect companions to Onyx software and the wide-format printers in our range. 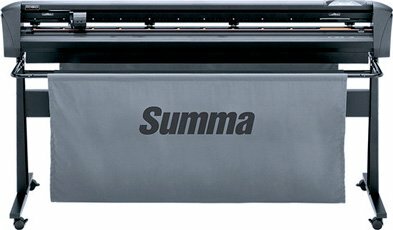 Every day, for nearly three decades, Summa has delivered the world’s highest-quality vinyl and contour cutters and finishing flatbeds without compromise. We will never stop looking for the next innovative, precision product for the printing, outdoor advertising, vehicle graphics, and signmaking industries. We will never stop listening to what our customers want for their businesses. And we will never stop delivering premier customer service alongside legendary performance.